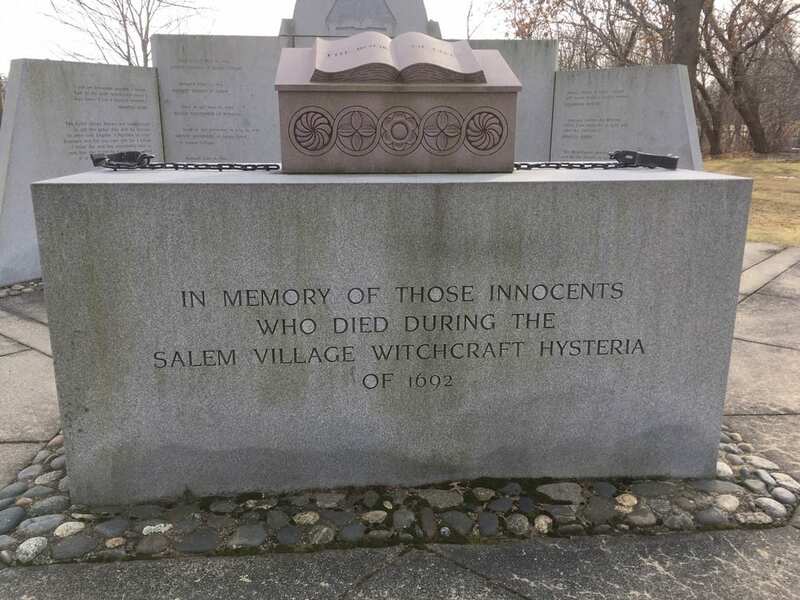 Erected in 1992, the Danvers Witchcraft Victims’ Memorial pays tribute to the twenty-five innocent people who died during the witchcraft hysteria of 1692: nineteen hanged, one pressed to death, and five who perished in jail. 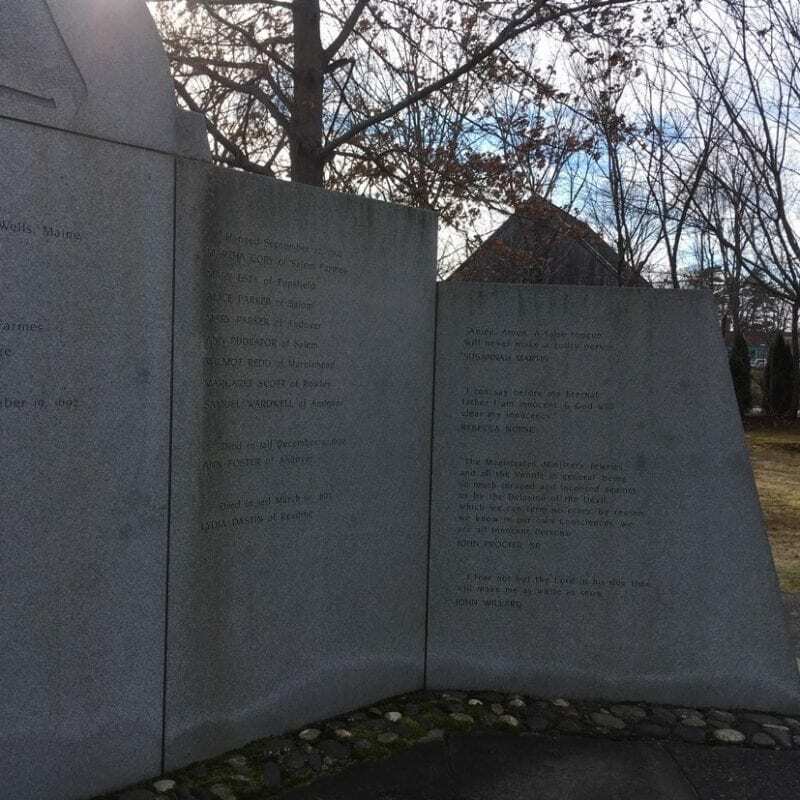 The memorial was dedicated on May 9, 1992 before an audience of more than 3,000 people. 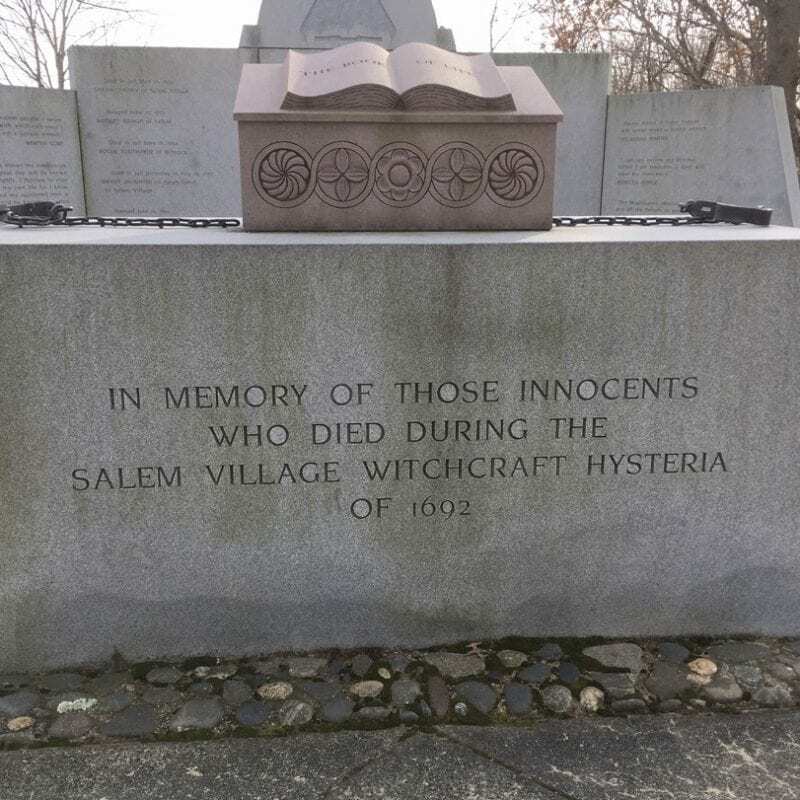 It was designed by Richard B. Trask, member of the Salem Village Witchcraft Tercentennial Committee of the Town of Danvers; Robert D. Farley, CSI; and Marjorie C. Wetzel. 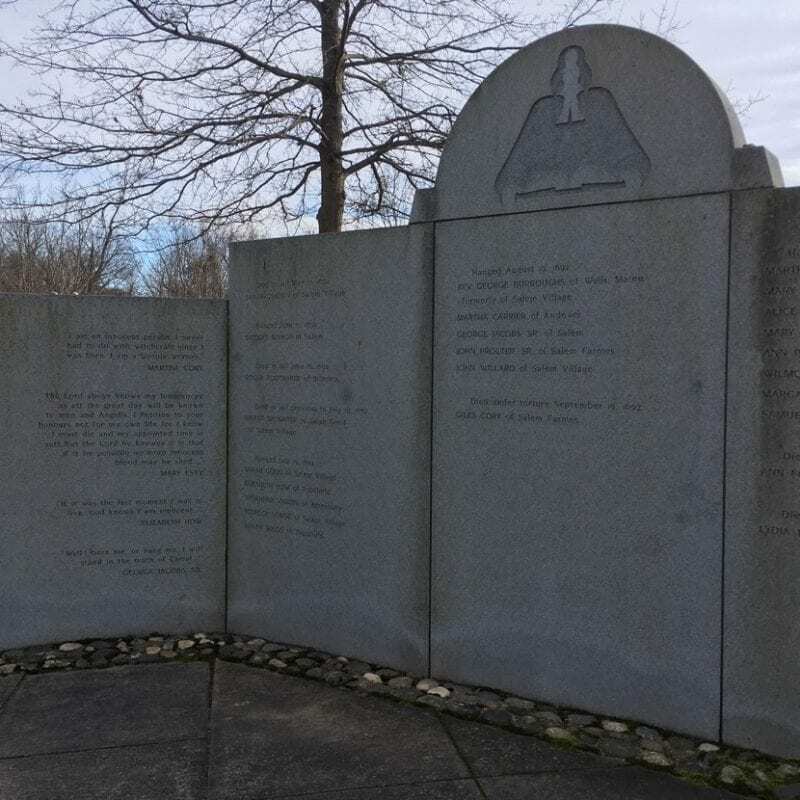 The memorial features a granite Bible box and book, with a pair of large scale reproduction metal shackles. Blacksmith Curtis M. White, staff member of the Saugus Ironworks National Park and resident overseer of the Rebecca Nurse Homestead in 1992, hand-forged the chains.